Special garments deserve special care and we ensure that your garments are given the treatment and attention they deserve. Whether your item has luxurious fabrics or beads and sequins your clothing is handled with great care. Your garments are inspected by hand, spots are pre-treated and our experienced cleaners use their judgement to determine the most appropriate cleaning material and technique. Minor repairs are done on small seams, missing buttons are replaced and then the items are expertly pressed. The items are inspected again and then specially packaged to keep them looking great. 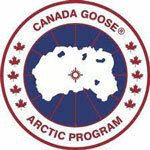 official drycleaner for Canada Goose. Message us below for more info on our Specialized services!